TRUE MODELER's SCALE PHOTO CONTEST! 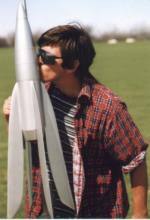 Essence's Model Rocketry Reviews and True Modeler's are pleased to announce a new photo contest. Read below to understand the requirements. 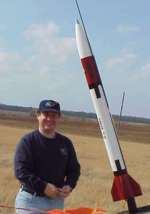 Entries will be judged by a panel of (3), Mark Henning of True Modeler, Nick of EMRR, and Joseph May; Commander of the Delaware Aerospace Education Foundation; and Delaware Area Rocket Enthusiasts (D. A. R. E.) Tripoli Prefecture #106 President. 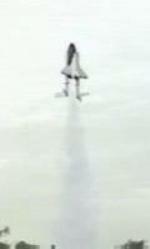 Contest is over on 3/1/2000 and read about the prize. 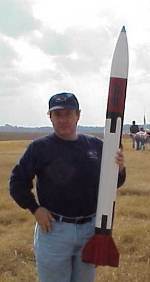 PATRIOT - this rocket is a 1/4 scale model of the Desert Storm veteran. Length 52.9 in, Dia 4 in, Weight 32 oz., 36 in parachute recovery. 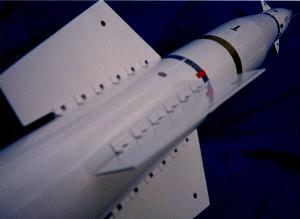 PERSHING 1A MISSILE - The model rocket is about 1/15.4 scale - scratch built using plans from MaxQ Rocketry. Flown it once on a D12-3 motor for a great flight. 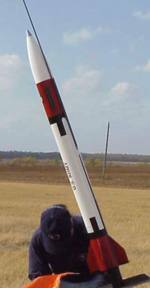 Length 26 7/8", Dia 2.6", 24 in parachute recovery. RAZAMOV-SHTERN LRD-D-1 - totally scratch built from Pete Alway's book, RETRO ROCKETS. 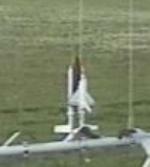 ALL the TN and 'chute rides in the nose cone, only enough airframe forward of the front CR for the NC shoulder to rest in. No foam was used. 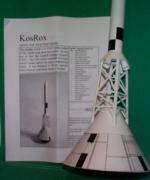 APOLLO PAD-ABORT TEST ROCKET - A 1/26.5 scale rocket design by KosRox. 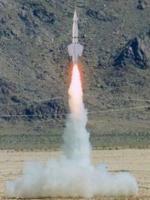 It was used to test the Launch Escape System(LES). 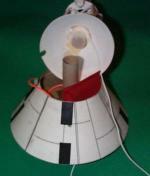 The LES consisted of a four-nozzle rocket motor set atop a supporting tower with a dummy Apollo capsule. It was designed to lift the capsule away from an exploding Saturn 5 booster. SPACE SHUTTLE - Just a simple "stock" Estes Space Shuttle. 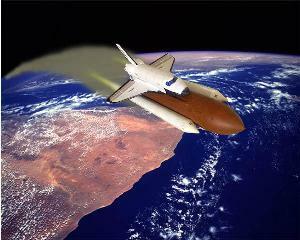 My rocket in a "special" earth orbit, too!